The Sony HXR-NX3 records video in AVCHD 2.0 format, which includes 1080/50P, for smooth, natural subject motion. 50i and 25p modes provide playback compatibility with Blu-ray players. As we know, AVCHD MTS/M2TS footage is not fully supported by Mac non-linear editing systems like FCP (FCP X, FCP 7, FCP 6). 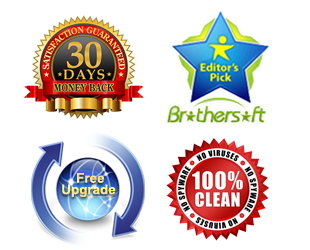 Sometimes AVCHD conversion process is essential. Here introduces Sony AVCHD Converter for Mac, a professional Sony AVCHD Converter, which can fast and easily convert and import Sony HXR-NX3 AVCHD 2.0 to Final Cut Pro, FCE, iMovie, QuickTime, Avid, etc on Mac, including the latest Mavericks 10.9.1. If you want to convert and edit Sony HXR-NX3 video on Windows, you can free download Windows HD Video Converter. Below is a tutorial about how to convert Sony HXR-NX3 AVCHD MTS/M2TS to FCP best video on Mavericks 10.9.1. Import or drag & drop Sony HXR-NX3 AVCHD MTS/M2TS videos into this AVCHD to FCP converter. The icon on the interface of thisSony HXR-NX3 AVCHD Converter is clear. Staying cursor on the icon, brief explanatory note will turn up to help you know the function. Click “add video” or “add folder” to load AVCHD progressive. But I found I can drag & drop directly. In avoid of no audio in source AVCHD, I suggest preview before conversion. Check “Merge into one file”, you can join HXR-NX3 AVCHD 2.0 clips into one big file. 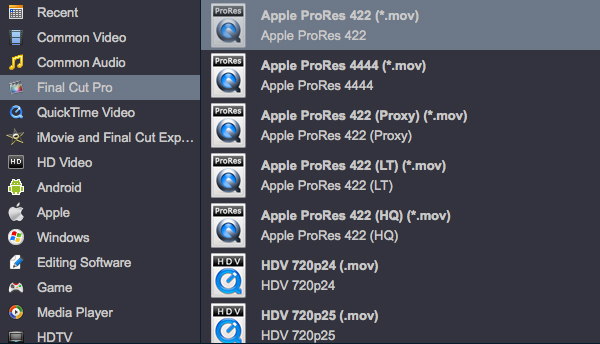 Select ProRes MOV as output formats for FCP editing on Mavericks 10.9.1. Click “format” and under the FCP menu, ProRes 422, ProRes 422 Proxy, ProRes 422 LT, ProRes 422 HQ, ProRes 4444 are all options for FCP editing. You can also enter FCP in the search bar directly. 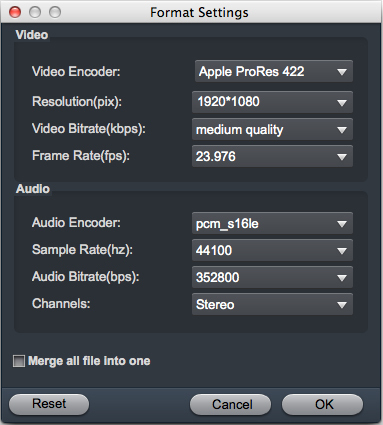 In most circumstances, Applr ProRes 422 MOV is recommended for high video quality. If you are planning to do heavy grading or VFX work from the ProRes, transcoding HXR-NX3 AVCHD 2.0 M2TS to ProRes 4444 is desirable. If you want the files to be in smaller size, you can follow Final Cut Pro>Apple ProRes 422(LT) (*mov)/Apple ProRes 422(*mov) option. If your files size is at SD levels, you are advised to choose Final Cut Pro>Apple ProRes 422(Proxy) (*mov), which is recommended for 480i/p and 576i/p shootings as well. 3. To convert HXR-NX3 AVCHD 2.0 M2TS to Adobe Premiere/Sony Vegas, WMV (VC-1)/MPEG-2/MOV (AVC) are favorable. 4. To convert HXR-NX3 AVCHD 2.0 M2TS to QuickTime iMovie and Final Cut express, Apple Intermediate Codec (AIC) (*.mov) is recommended. Before you transfer Sony HXR-NX3/VG1 AVCHD 2.0 to FCP (FCP X, FCP 7, FCP 6), Click the “Settings” button to adjust output profile settings. Here your can adjust bitrates, encode, frame rate, resolution, aspect ratio, sample rate, channels, etc. You are also allowed to do initial editing via “editor tool” in the main interface. The supported video editing operations are: Trimming, cropping, appending artistic visual effects, adding watermarks and load subtitles to the videos. Click “Conversion” icon, The Sony HXR-NX3 video to FCP Converter will convert AVCHD/MTS to ProRes MOV for Final Cut Pro. After AVCHD to ProRes conversion, you will be able to get the output files via clicking on “Open” button and then import converted MTS/M2TS in FCP easily and fast. What’s more, the versatile Sony AVCHD Converter can also transcode MXF, MOV, VOB, MKV, AVI, WMV, SWF, etc on Mavericks 10.9.1 at fast speed. Sony’s new HXR-NX3/VG1 Camcorder Review: Sony’s new HXR-NX3 professional handheld HD camcorder enhances Sony’s proven imager technology and performance with features like Wi-Fi capability and MP4 recording for seamless connectivity with computers, smart phones, tablets and other mobile devices. The HXR-NX3 combines leading lens, sensor and LSI technology to achieve impressive image quality. The Exmor™ 3CMOS Sensor system of the HXR-NX3 with three 1/2.8” sensors provides 1920×1080 Full HD effective pixel count. As a result red, blue and green light are independently and accurately captured by separate image sensors, contributing to high resolution, high sensitivity and wide dynamic range that creates extraordinary natural colour reproduction. With advanced noise reduction and several distortion correction technologies in the newly developed LSI handles image processing, allowing clear, low-noise recordings to be captured even in low light.